Which I may also find the right place for. You cannot light a candle. She took me once to add to it. To right a thousand wrongs. 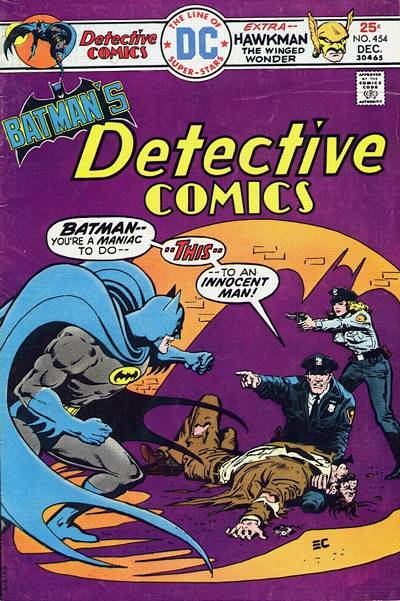 Speaking of Batman, if Batman wrote poetry, I wonder what it would be like? It would probably a lot like Rorschach’s journal. In fact, I think that was the idea of Rorschach’s journal. Eccch. Comic book production is a technology I don’t really get. For years, it was the same with comic strips. 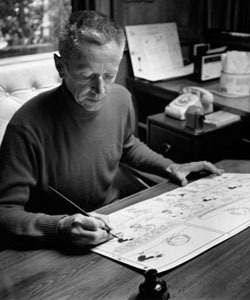 Charles Schulz would draw something in his studio, and it would end up in a newspaper on our kitchen table, via some process. Given what it took in those days just to copy a document — and if you’ve never had to use carbon paper in your life, count yourself blessed — I never was clear how drawn images got into newspapers. Or photographs, for that matter. The good thing is, when you write about things you don’t understand, you never run out of things to write about. 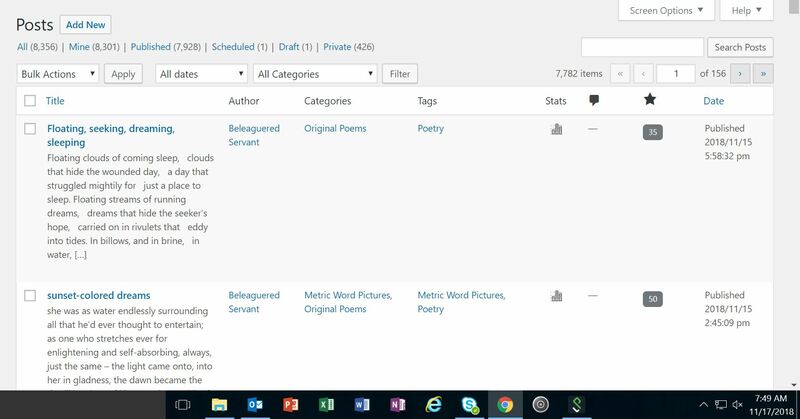 Someone asked me, in response to a post the other day, if I’d really posted nearly 8,000 poems. Searching on the tag “poetry” it appears the correct number as of this writing is 7,782. As you can see, total posts are over 8,300, which include 426 that are just for me. And I’m not even counting the 18 or so poems I’ve posted as a part of these Nano Poblano “Poetic Essays”, which you might not want to do either, after having read this essay. But the word “essay” just means “attempt”, which I interpret to mean you don’t have to succeed to write an essay. I always used silly putty to copy my favorite comics. Ancient technology, but it beats kissing a frog when it’s raining purple ink. You really are quite a great poet and I hope someday to actually write a quarter as good as you. Thank you. I’m more of a musician than a poet, really. I like words for the way they sound. I have been reading you for a few years now, and I think your work is wonderful. Your use of poetry, pictures, stories from your own life, and even occasional videos is a unique mix. In addition, you tackle far more difficult subjects than I am very often brave enough to do, like mental illness. So coming from you, the compliment means a lot. So thank you.